The Yuletide Madrigal Feaste is a bit different from performances throughout the year. 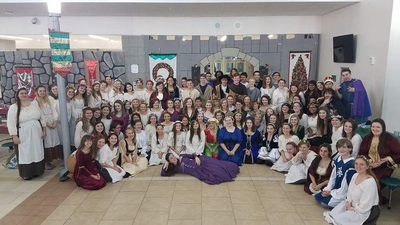 This particular performance bonds the Current VHS Chorus students with past alumni, parents, and the community. We recreate a fifteenth/sixteenth century feaste complete with food, costumes, theater, and most of all the music of this time period. 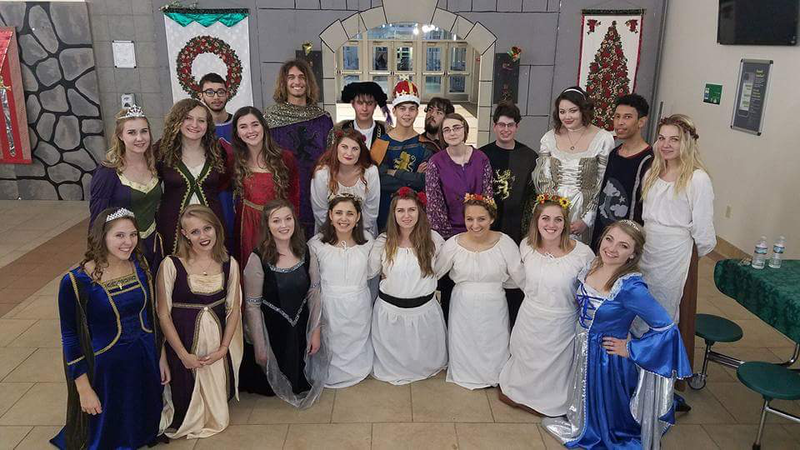 ​or in person at the box office, M-F 10 a.m. - 3 p.m. 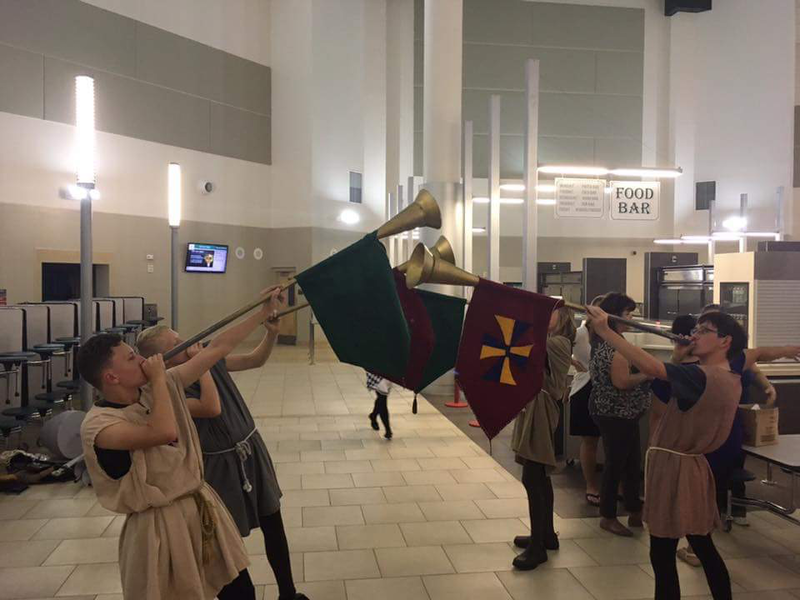 The place is Europe, more specifically England. 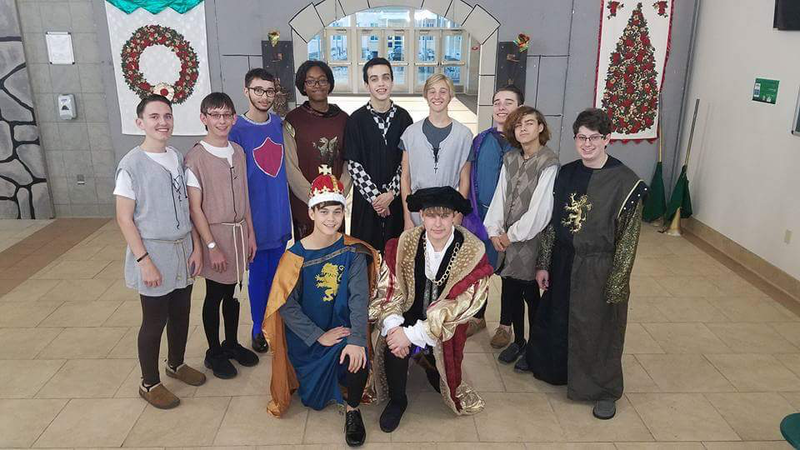 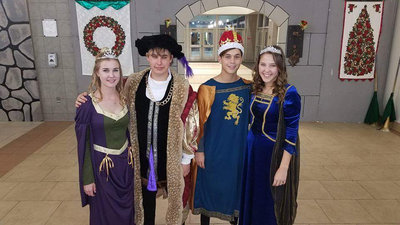 Students, Alumni and staff are dressed as lords and ladies, knights, servants, jesters, and much more. 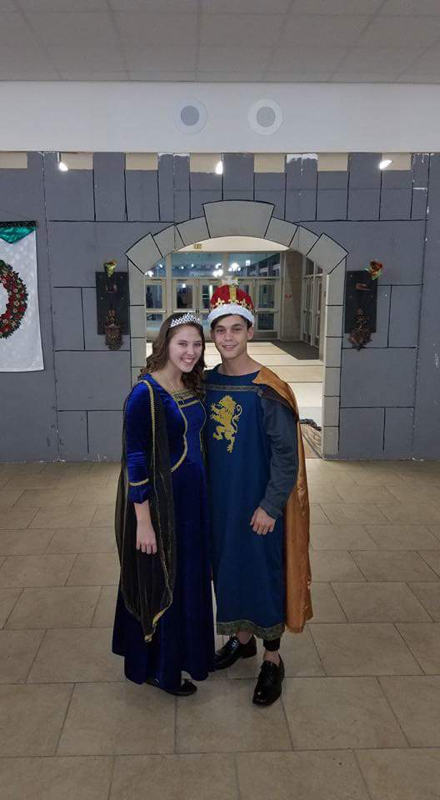 Students learn of the traditions embodied in this feaste of celebration in the month of December. Many of our present day traditions are derived from these events. 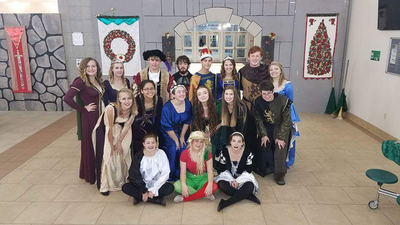 ​Parent volunteers are needed to make sure that this event is a success. 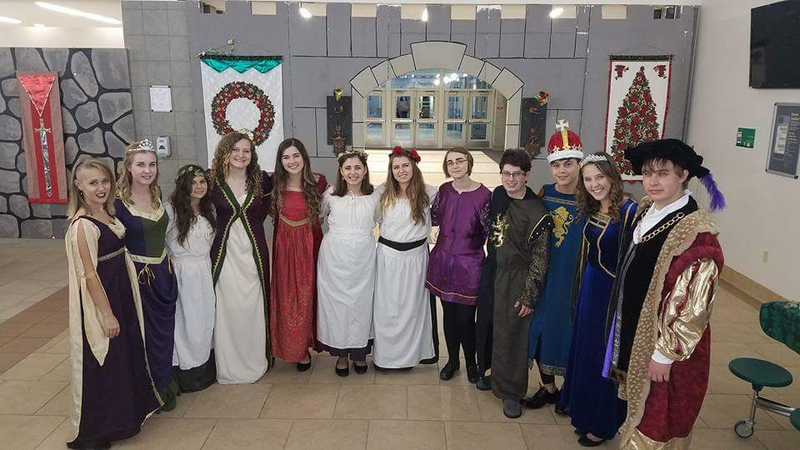 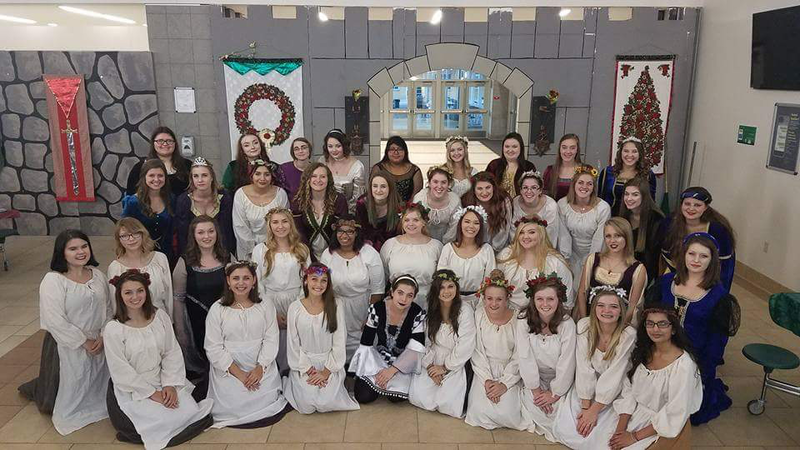 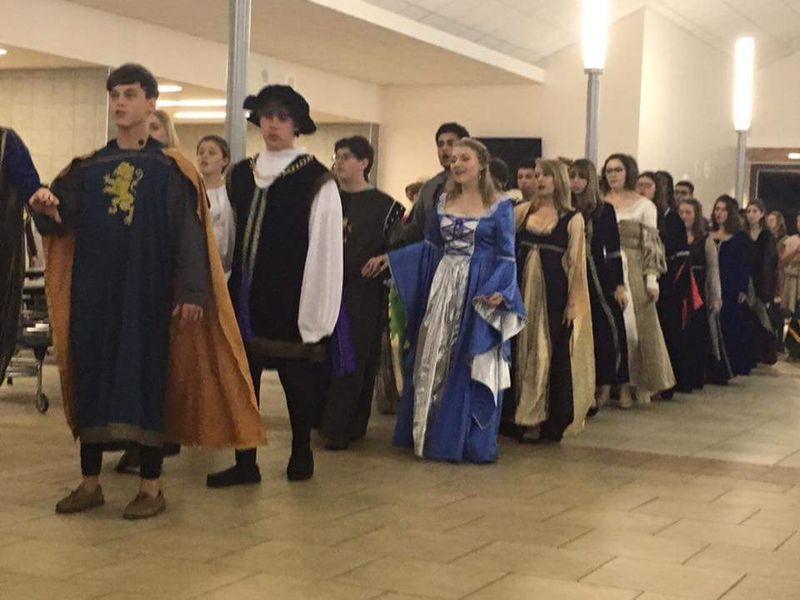 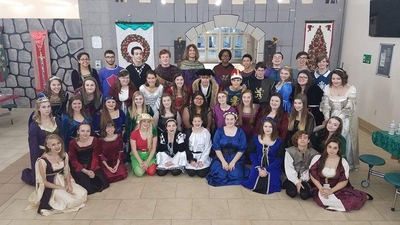 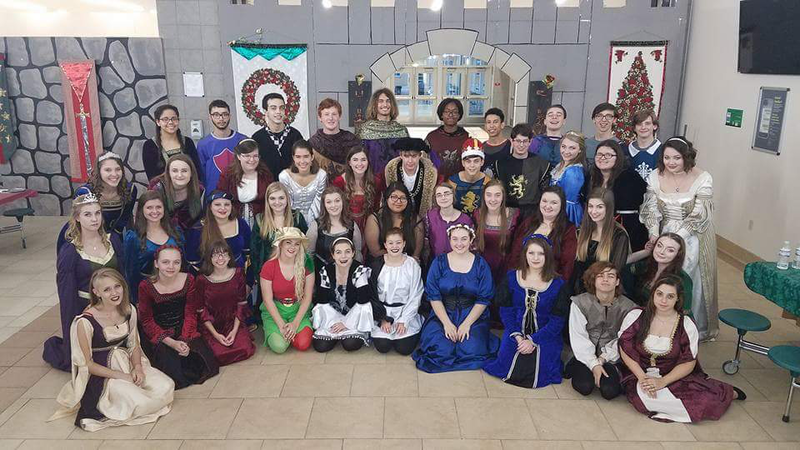 Would you like for volunteer to help with the Madrigal? Parents and alumni, please use this link to see all of our needs, and to sign up to help!